Esahc Itunes deleted my music so I've actually bought this twice now. Favorite track: Alligator in the House. Chamomile I just really really love mushroom song ok. According to iTunes I have listened to that song 939 times. (the rest of the album is pretty good too? their version of tam lin is very good.) Favorite track: Mushroom Song. We suggest a price of $10 for your download of 12-track album in your choice of 320k mp3, FLAC, or just about any other format you could possibly desire. 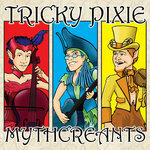 Ready for some gypsy celtic folk rock for naughty punk faeries? 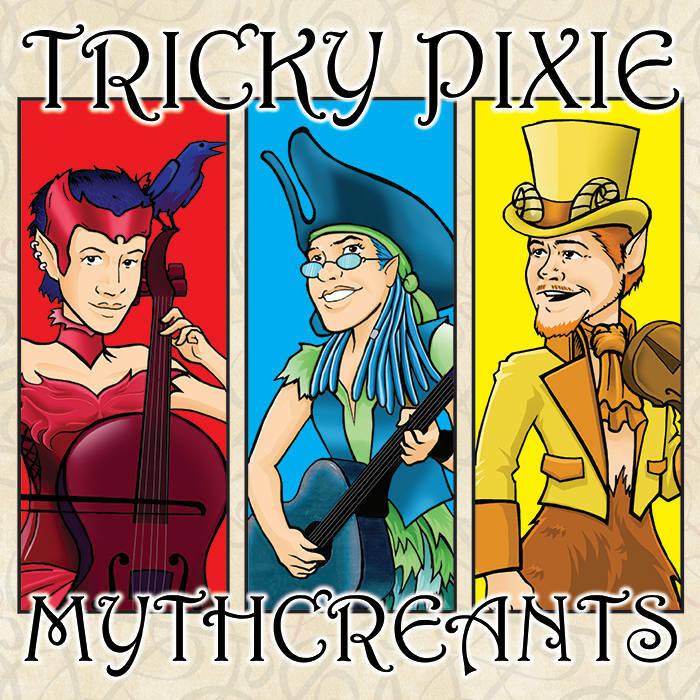 Mythcreants is the first studio music release from Tricky Pixie, a fey fusion of three well-loved, whimsical talents who fearlessly tread the boards and the twilight roads alike, using a wealth of instruments to guide themselves and their listeners along, including all manner of strings, voices, and drums. Tracks 1, 4, 8, and 9 - words and music Copyright SeaFire productions, used by permission. Track 2 - song and this recording Copyright S. J. Tucker and Betsy Tinney; all rights reserved. Tracks 3, 5, 7, 11, and 12 - songs and/or arrangement and this recording Copyright S. J. Tucker; all rights reserved. Tracks 6, 10, and 12 - songs and this recording Copyright Betsy Tinney; all rights reserved. would you caravan at my side, my love, will you ride? Not too long and lad, you're gonna end up dead! A few feet more, you got her! Death ain't grievin' and she just don't care! Kiss her lips 'cause lad, it's best that way! I never shall leave my white pine. No, I never will leave my white pine. and cries 'O, lady, let alone! and knows him now for young Tam Lin. just as fast as she can hie. doting, caring, meek and mild. be sure myself shall bear the blame. shall get the baby's name. To speak with young Tam Lin. alas, when I was but a child. when from my horse I fell. at Miles Cross must bide. 'But how shall I thee ken, Tam-lin? Or how shall I thee know? and pull that rider down. To Miles Cross did hie. Her own true love to save. As the fairy court came riding on. and pulled her lover down. and young Tam Lin she won. the best knight of Our company. and changed thee fast into a tree. as fast as love can go. So now he just thinks with his balls. Hey buddy, you mind if I jump you?